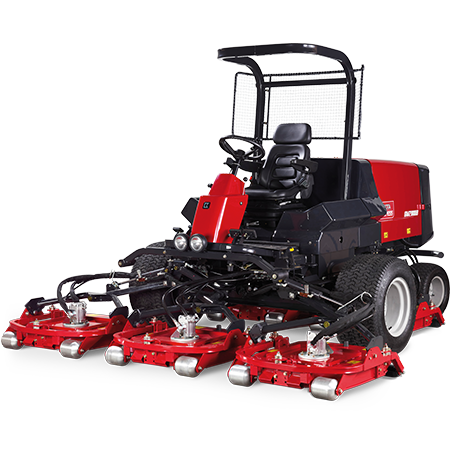 The Baroness GM2800-B rotary mower is ideally suited to mowing contractors, councils and landscapers, looking for a reliable wide-cutting unit. 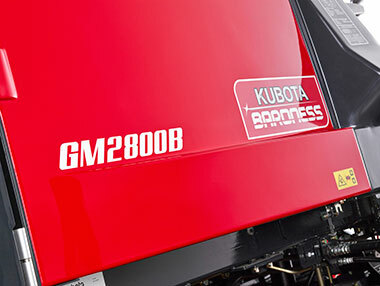 Powered by a reliable Kubota engine, the GM2800-B features five independently mounted cutting decks, 2.8m cutting width and on-demand 4-wheel drive that tackles the toughest conditions with ease, achieving a clean superior finish every time. Powerful and reliable Kubota diesel engine. 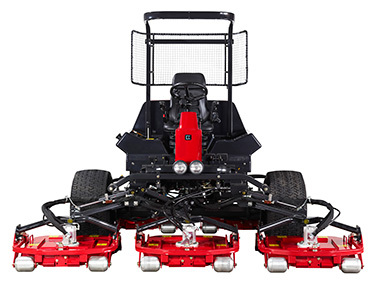 Superior Traction and Slope Performance. Selectable 2WD or 4WD on demand as standard. 4 stage ‘Traction Assist’ weight transfer system. Light footprint with minimal turf marking. Short Wheel Base for manoeuvrability with a tight turning circle. Light and positive power steering. No complicated electronics or computer analysis systems. Accessible and efficient Cooling System. Large radiator and oil cooler for efficient temperature control. Large access door for fast and simple maintenance. Drop down oil cooler for easy cleaning. 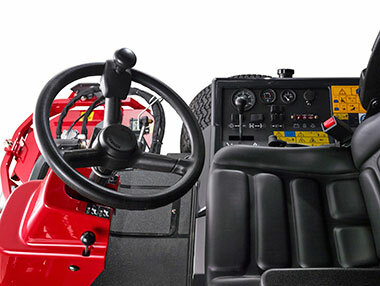 Swing-Out Rear Cutting Units Easy access for making adjustments, maintenance and cleaning. A golf ball protection net and weather canopy enhance operator safety. A comfortable seating position with excellent all round visibility. Quick and Positive Height of Cut Adjustment. All 5 decks can be changed in under 10 minutes. Height range from 20mm to 91mm.Suitable for rough, semi rough, surrounds and sports pitches. Spiral deck pan design provides excellent grass clippings dispersal and a very clean finish. Full length rear rollers allow cutting over a bunkers edge. 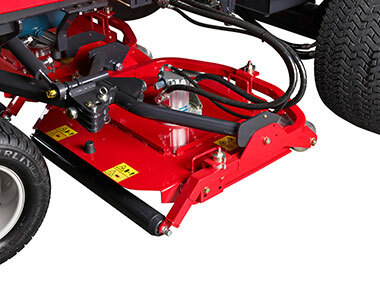 Cutting decks protrude outside of the wheel line allowing cutting up close to a tree or over a bunkers edge. Full length rear rollers minimize scalping and provide a good stripe for winter fairway work. Deep strong deck pans will cope with long thick grass. Blades made from an alloy of hard wearing and tough metals that will last up to 5 times longer than standard blades. 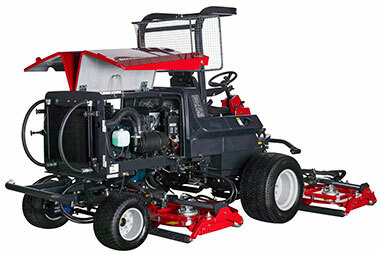 Stays sharper for longer enhancing grass condition and appearance, reducing maintenance costs and machine downtime. A very strong machine made to a high standard. A simple design with fewer moving parts ensures increased reliability. A 4 year/3000 hour standard warranty is therefore provided.Life expectancy is considerably increased. Lifetime operating and maintenance costs are considerably reduced.